Tonight we are having a special "preview" of our upcoming Saturday night Current Worship Service. I am not sure what to expect other than the unexpected. The festivities begin at 6:30 and I have been working hard to keep myself busy since 3 p.m. I have heard from many of our people that are excited about the new service and are looking forward to being able to attend worship again. It is amazing how many people in our area have to work Sundays and we are excited to be able to offer a new service. Someone likened it to doing church on banker's hours in an ATM culture. 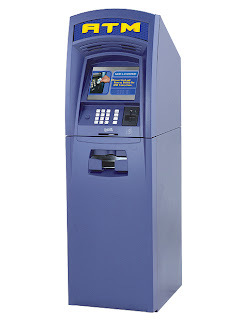 So if you are not doing anything tonight, come make a deposit or withdrawal depending on your personal need.